Hep C elimination in NSW by 2028 – how’s the treatment landscape look? In a short overview, Hepatitis NSW CEO Stuart Loveday looks at the hep C treatment landscape and argues the really hard work to achieve hep C elimination in NSW by 2028 is only just beginning. The Kirby Institute’s newsletter Monitoring hepatitis C treatment uptake in Australia, December 2017 Issue gives us very good news. In the 16 months from March 2016 to June 2017, 43,360 people in Australia were estimated to have begun hep C treatment with new direct acting antiviral (DAA) drugs. That’s almost one fifth of the 227,310 people in Australia estimated to be living with chronic hep C. Of those treated, over a third were in NSW. The NSW Ministry of Health and its Local Health Districts have adopted 2028 as the year to achieve hep C elimination. 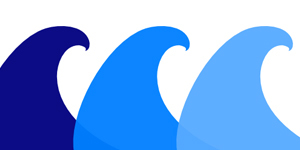 Hepatitis NSW uses the term THREE WAVES for education, planning and advocacy purposes. We’re interested in how people may have or will access treatment. Knowing this ensures hep C can be eliminated in NSW by 2028.
good awareness and knowledge of new hep C treatments and relatively high levels of health literacy. These people were easy to reach and engage in treatment. People in the SECOND WAVE can be characterised as easy to reach but hard to engage in new hep C treatments. The Second Wave consists of many people across Australia with hep C who are already accessing drug health and related community and mental health services. People who inject (now or in the future), who are often marginalised and who benefit from hep C treatment being used as a means to prevent transmission. Peer education is a key way to engage people and support them into hep C treatment and cure. In NSW, NUAA and Hepatitis NSW are carrying out this work. The NSW Ministry of Health has set hep C treatment targets with their state-wide services and Local Health Districts. These services are required to meet those targets. The THIRD WAVE of new hep C treatments is already underway and consists of everyone else living with hep C.
People in the THIRD WAVE can be characterised as hard to reach and hard to engage into hep C treatment. This group largely includes people who no longer inject, people from countries with high hep C prevalence and from culturally and linguistically diverse backgrounds, people who have never injected and people who acquired hep C through medical procedures. It also includes the estimated 19% of people with hep C who are undiagnosed. That’s around 38,000 people with hep C in Australia who don’t know they have it. It is fantastic to see the work by the partners addressing hep C across NSW to inform, raise awareness, educate and get people with hep C into treatment and cure. However, the really hard work to achieve hep C elimination is only just starting. To meet the targets of elimination we need to do much more than we currently are. We must educate, recruit, enthuse, engage, build capacity, build awareness, reduce discrimination and mobilise. Not just with people living with hep C, but especially with GPs, their networks, and government and non-government health services. We have treated 20% of people with hep C so far. Numbers of people accessing treatment now are stable, but at much lower numbers than we achieved in the FIRST WAVE. 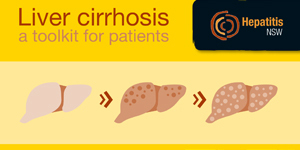 Diagnosis of cirrhosis can be scary, and Hepatitis NSW has published a new booklet that helps support people with cirrhosis. The aim is to help people better understand what is happening so that they can make the best decisions for treatment and health.